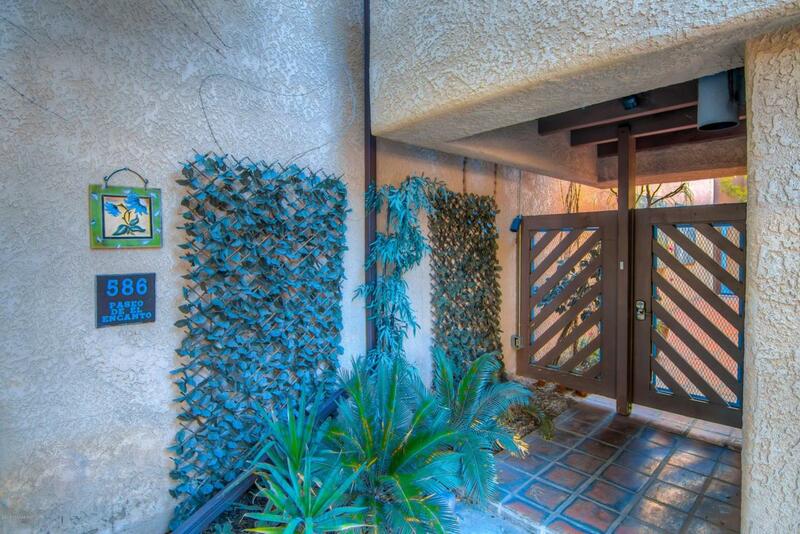 Fantastic central townhome located in El Encanto. Very private in small and quaint community. 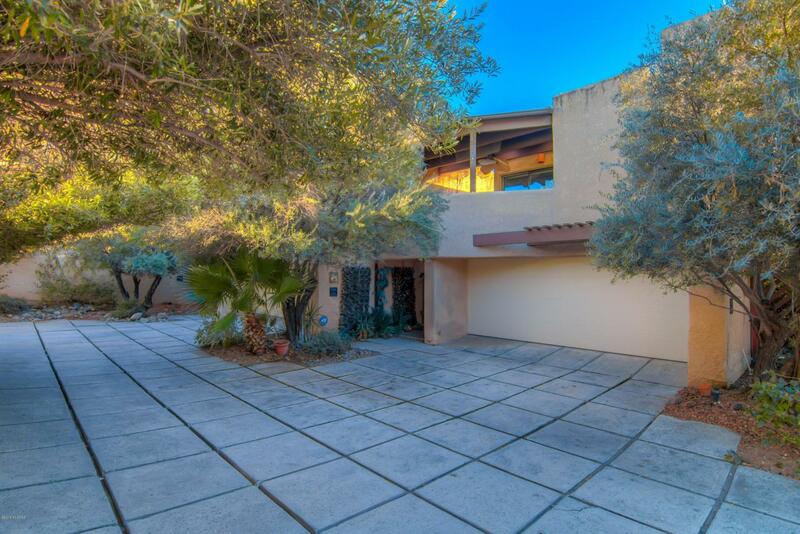 The gated courtyard leads you into the living room that has soaring wood beam ceilings. The home offers two master suites with their own private patios. One master bathroom has two walk in showers and a fireplace. The 3rd bedroom/den has its own full bath as well. Kitchen is very open and has been upgraded with corian countertops, 42 inch upper cabinets and appliances. 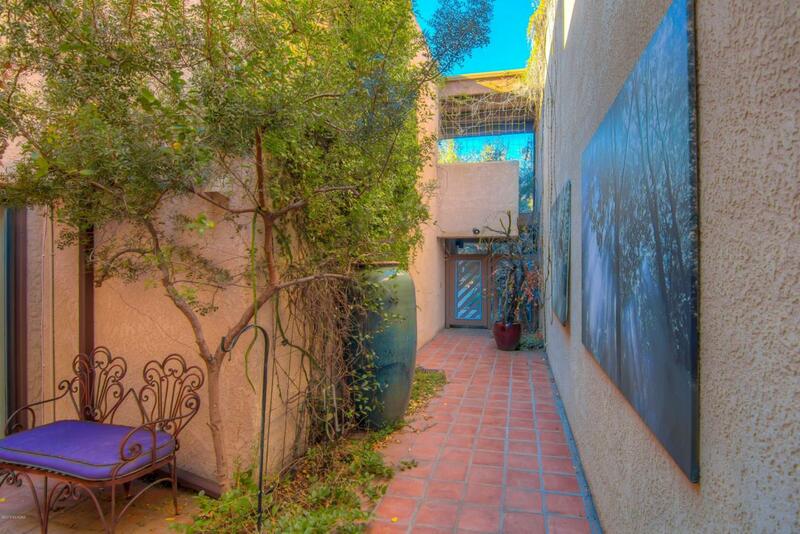 5 separate patios, back yard with waterfall is perfect for entertaining. 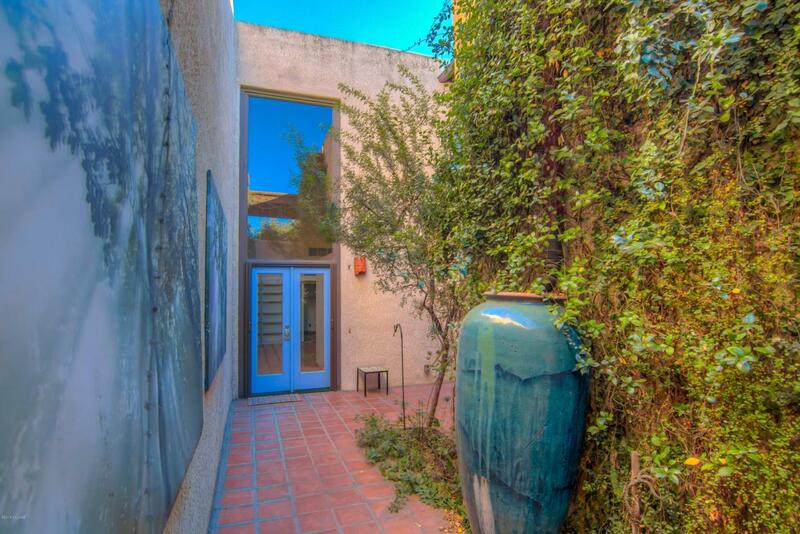 This is a unique El Encanto home that you must walk thru to appreciate.